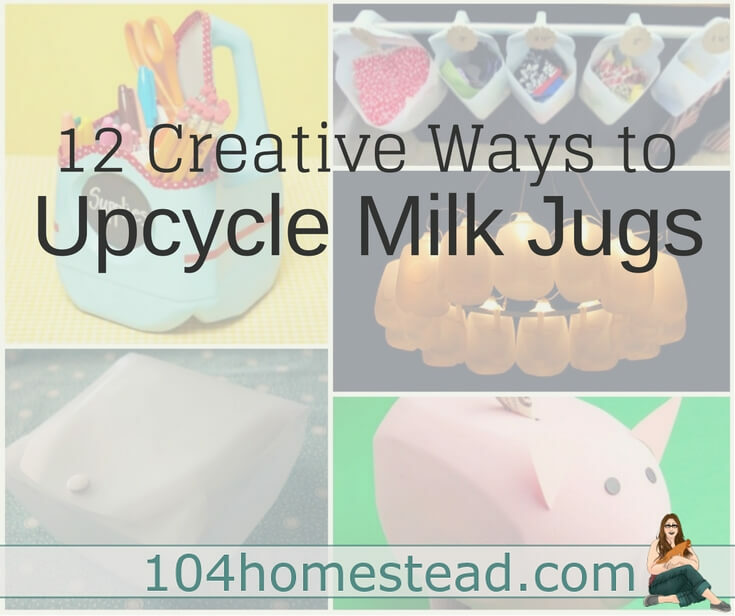 12 Uses for an Old Milk Jug - Don't throw them away! 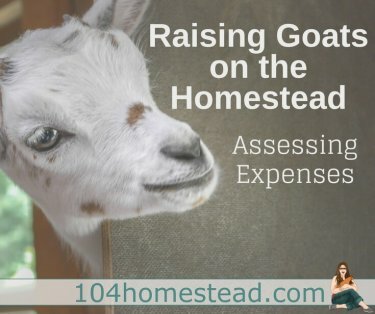 Since getting goats, milk jugs are few and far between in my home. As much as I enjoy pouring farm fresh milk from a 1/2 gallon mason jar, I long for having a milk jug (or twenty) in my life. Thankfully many people still use them and dispose of them daily. That might not be so hot for the environment, but it comes in handy for upcyclers like myself. 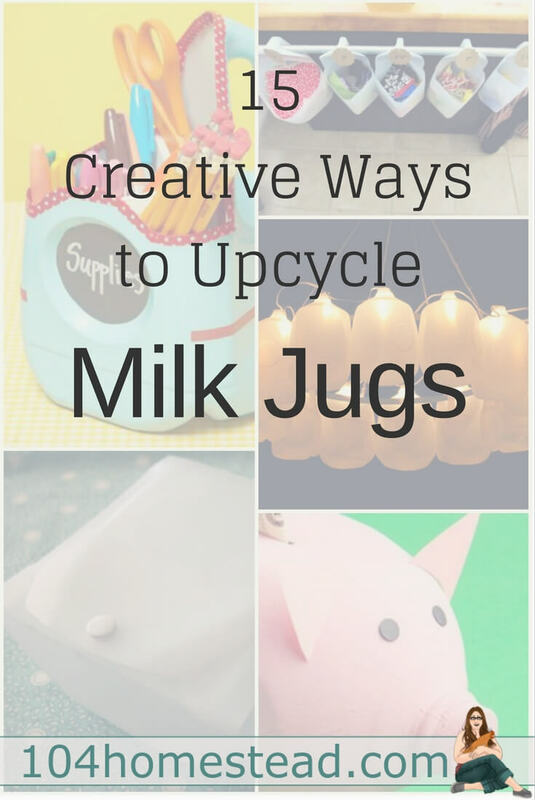 With these ideas, not only will you stop throwing away your daily/weekly milk jug, you’ll probably be asking friends and family to save them for you as well. Don’t forget, before crafting and upcycling with your milk jug, make sure to clean it properly. No one will appreciate your creativity if the end result smells like sour milk. Now, I might be partial, but this first use is my absolute hands-down favorite use for a milk jug. Why? Because it’s my article and my greatest gardening trick. #1 Winter sow with a milk jug. 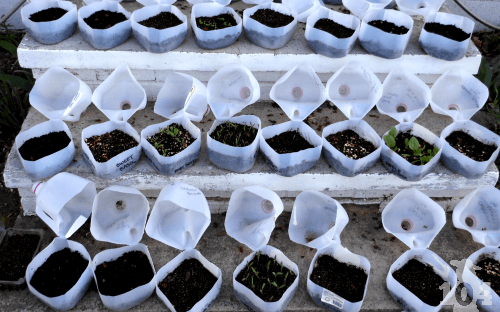 If you haven’t heard of the method before, winter sowing is starting seeds in the dead of winter (yes, even with snow) in miniature greenhouses. Because of this technique, I’ve successfully grown watermelons in Maine. I’m harvesting kale when others are just planting the seeds. Get more details here. #2 If winter sowing isn’t your thing, start your starts traditionally in them. This one is even self-watering! She even has instructions for protecting your young transplants with a milk jug cloche. See more here. #3 Make a cheap olla from a milk jug. Ollas are typically clay pots, but they can be very pricey. The way they work is that they slowly trickle water deep in the soil (where the roots are located) as the soil drys. You can see the video tutorial here. 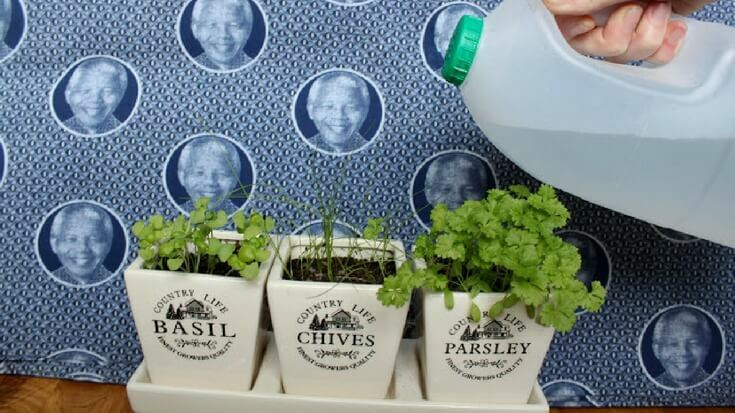 #4 Water your plants with a milk jug. I’m not great at houseplants, though I’ve accumulated some tips for keeping them healthy, but watering is something I often forget. This water jug would be great for popping on a counter. It wouldn’t take up much space and it would be easy to carry around the house without sloshing on the floor. Tutorial here. #5 Make a quick dust pan or scoop. Okay, so this might not be the most practical thing on earth, but if you’re in bind, this is good to know. Get the step-by-step instructions here. #6 Store things in them. I’ve used this upcycle a few times. 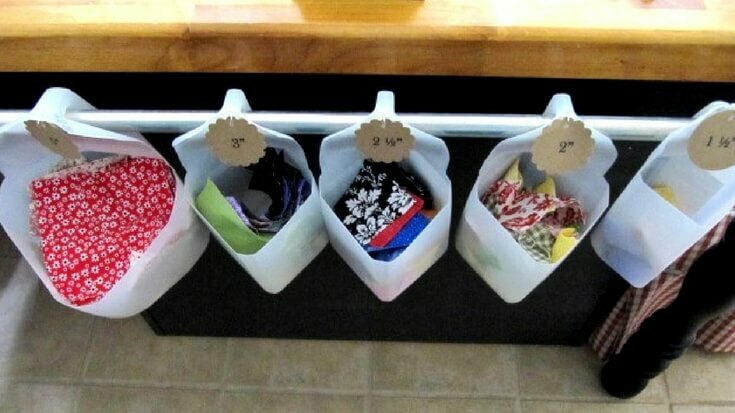 I use to keep my son’s cloth diapering accessories (snappis, inserts, cloth wipes, etc) in milk jugs set up like this. I’ve also used them to offer oyster shells to the chickens. There was also a period of time where we had ducks in the kitchen (don’t ask) and we used these for their water so they wouldn’t swim in them and make a mess. Instructions can be found here. 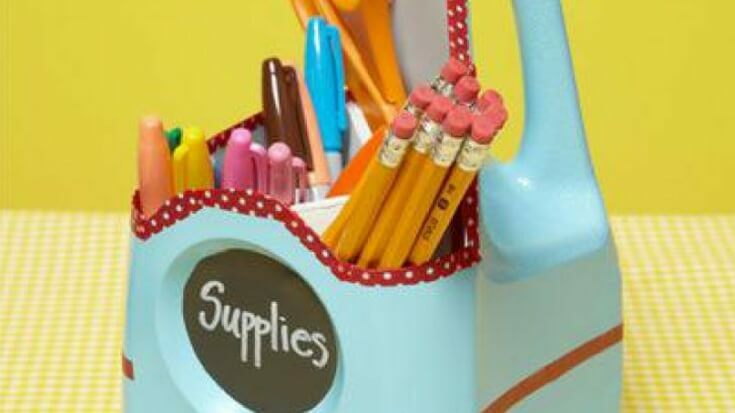 With the addition of some foam board and chalkboard paint (make it, don’t buy it) you can be uber organized. Get the details here. 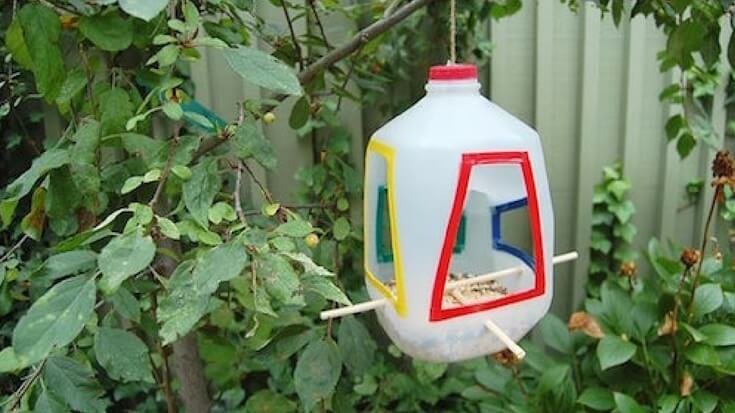 #8 Feed the birds with a milk jug. They have a bunch of upcycled and crafty birdhouses. If the milk jug one doesn’t appeal to you, there’s a pretty nifty Lego one. The site is in Portuguese. If you don’t have a translator in your browser, don’t worry. A picture’s worth a thousand words. Get the steps (or pictures) here. If this isn’t the cutest thing, I don’t know what is. Okay, maybe a puppy playing with a goat kid would be cuter, but this is pretty darn cute. 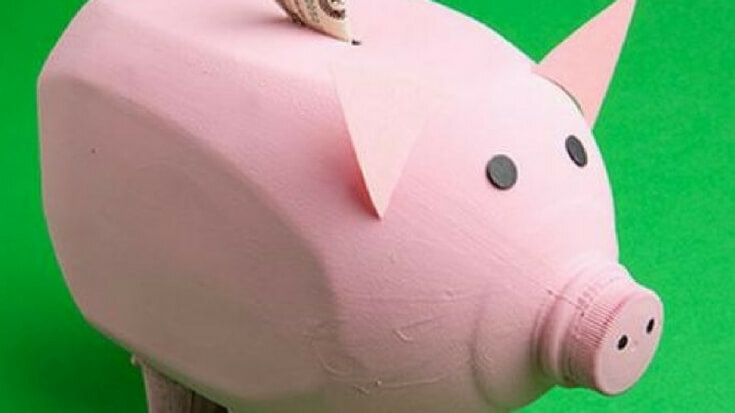 The only thing better than saving your money in a piggy bank is saving money by not buying a piggy bank. Tutorial here. 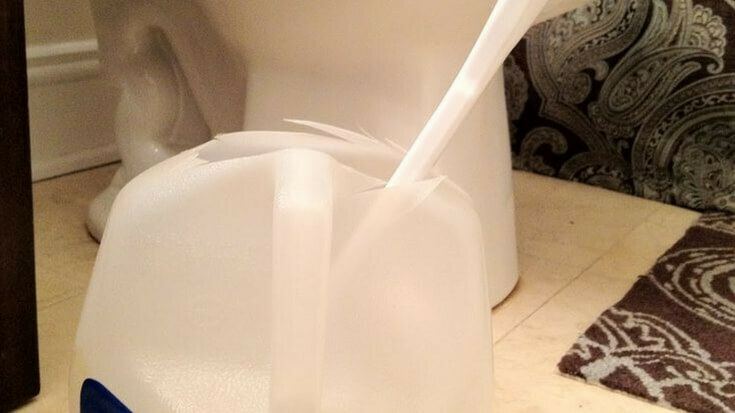 #10 Make a handy milk jug toilet brush holder. 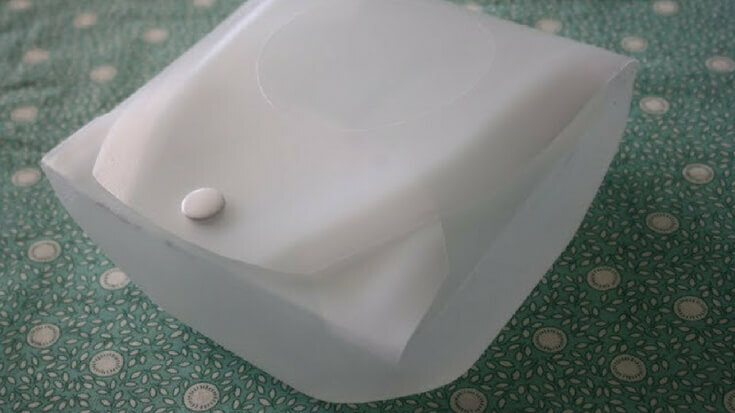 The only thing worse than the chore of cleaning the bathroom (I’m living with three boys here, I’ll give you a moment to sigh your condolences…) is having that nasty water getting on the floor. I have one of those brushes that comes with a holder, but my cherubs figure out how to knock it over all the time. I think this might be a bit more balanced. Details can be found here. This is actually really cool and I’m thinking it might be just what the chicken coop needs. Who’s with me? You can get the instructions here. #12 Take your lunch to go with a milk jug. 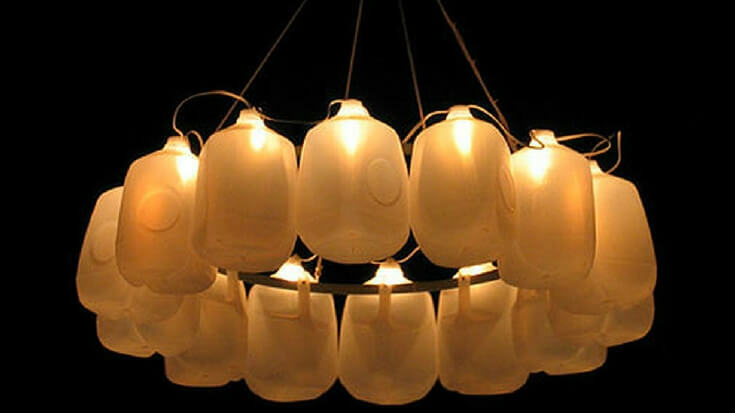 Next to the winter sowing, this might be my favorite idea for upcycling milk jugs. This idea is pure genius and it’s really easy to do. Find out how here. Looking for something healthy to put in your new lunch container, check out these healthy lunch ideas that aren’t boring. 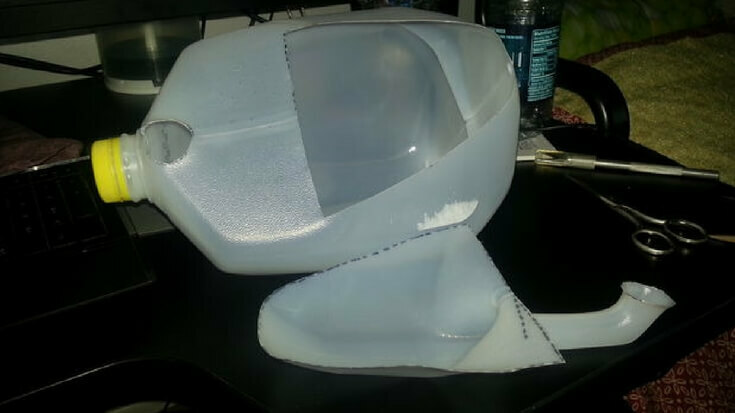 What are your favorite upcycle projects for milk jugs? Tell me all about it in the comments below. I love getting new and creative ideas. If you love crafting and upcycling as much as I do, I encourage you to check out Crafty’s Project Upcycle class online. 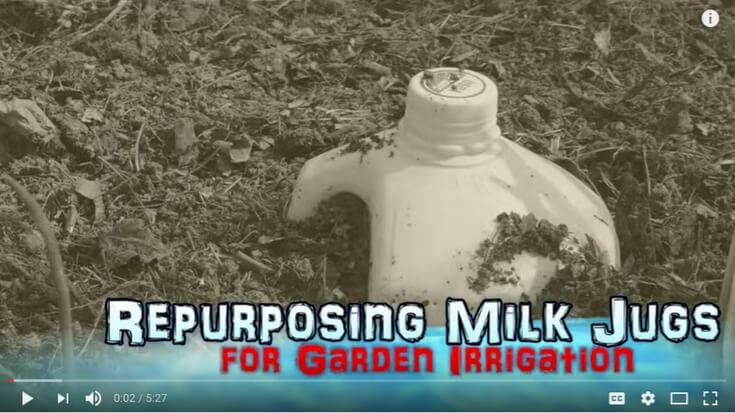 Home » Homestead Living » 12 Uses for an Old Milk Jug – Don’t throw them away! I love recycling things so much! It’s good for the environment! We can also save up money for another thing! I cur away the top side away from the handle and use them to soak artbrushes. Different kinds and colours of paint in each. Stand them in empty jugs.. the pint size… to dry them. I use them as mini greenhouses in the garden. I cut off the bottom and put a hole in the cap. Prepare my garden soil/spot where the seed is to be planted and plant the seed and water it very well. Then I take the jug and lightly push it into the soil around the seed making a light indention of it in the soil. 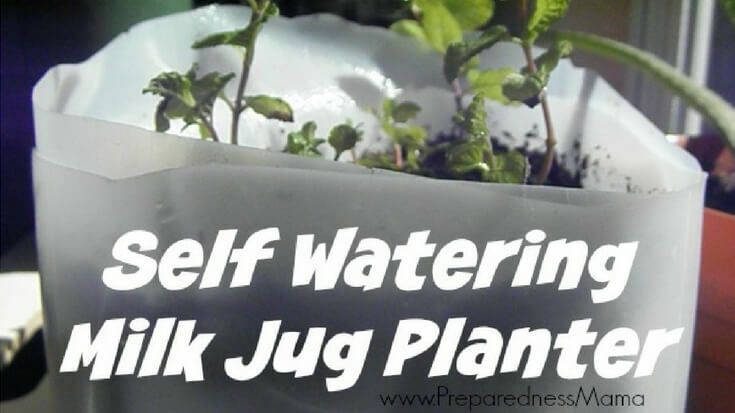 Pull some of the soil away and lightly bury the bottom of the jug. (At this point I sprinkle DE over the soil to protect the seed from bugs). Take a bamboo stick (I recycle Venetian blind parts)and shove it through the jug cap, down through the center of the jug and into the soil to anchor the jug. Screw the cap on or if it’s warm in your area leave it slightly open to circulate air. At this point I make a outer water trough around the jug so I don’t disturb the seed. Then I take DE and dust the outer part of the jug to keep bugs off for a while. I’ve had wonderful success with this and at the end of use the jugs stack-pack away nicely. and I just take the stake & cap and keep them connected in a bucket till next time.